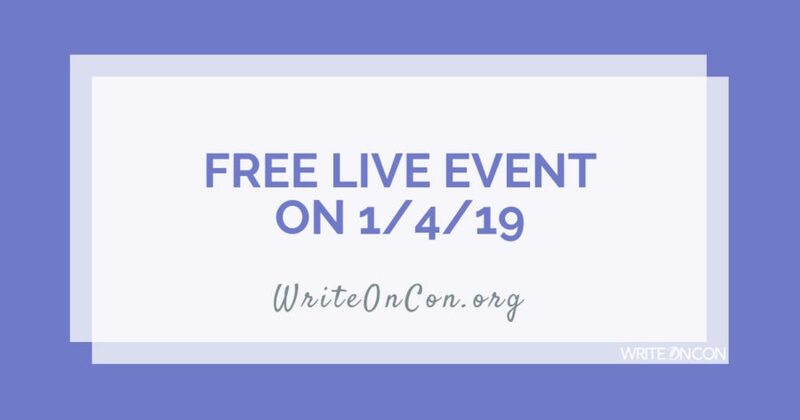 Though 2018 is almost over, WriteOnCon 2019 is still a little while away (February 8-10, 2019). However, we are excited to announce that we will have some special public live events in the weeks leading up to the big weekend! These special events will run just like our other live events: they’ll be live Q&As on set topics, with questions coming straight from our audience members. But unlike our February events, these are completely FREE to the public. So you can attend and ask our speakers questions even if you haven’t purchased admission to the main conference—though if you like what you see, we encourage you to register! The event will take place at this link. The streaming video will go live at the scheduled event time, but you’re invited to pop in early to leave your questions for Kosoko in the comments section. A WriteOnCon.org account is required to leave comments, but they’re free to make. We look forward to seeing you there! More events to come! Watch this space for details on our next speakers and topics. Until then, Happy New Year from the WriteOnCon team! This is great – thanks for making these available. Just noticed, in the body of the post it says Jan 4, the headers say Jan 3. Just wanted to clarify the date. Thanks much! Very excited about this event and I look forward to the streaming video. Thanks for offering it. Is it on January 3rd or January 4th? Also, it seems the “at this link” isn’t working right now, but I’m guessing it will work on the day of the live event? Thank you for asking! There was a date change that hadn’t been reflected in our title/graphic. But the event is on January 4. I’m excited for this free event. Quick question: I have to work on Friday at that time. Will it be possible to view it after the event? Yes, you can absolutely catch a replay of this later!